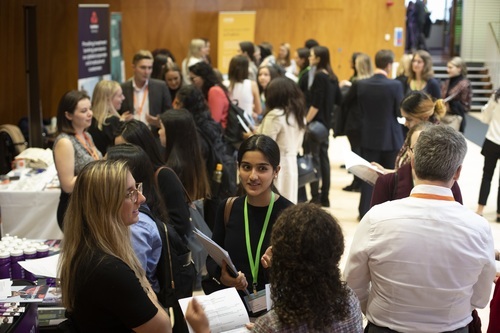 At our first event in 2019 we welcomed and 22 employers to Congress Centre, London. 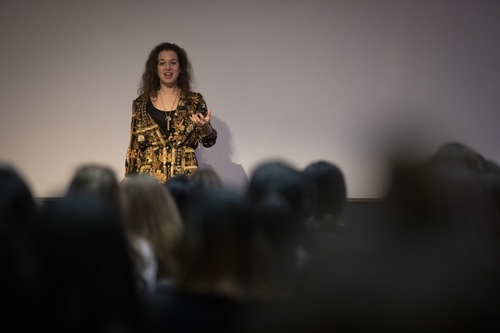 The event began with a talk from our event sponsor, NatWest Markets, and was followed by an interview skills session with Dr Emily Grossman. Students then networked with exhibitors and everyone enjoyed a hot canape lunch before selecting an employer talks session to attend. Companies from a variety of industries exhibited, including Myrtle AI, ASR Group, FCA, PwC, Exxon Mobil, Acturis, KPMG, Sparta Global, Capita Resourcing, Willis Towers Watson and PSE. EY, HSBC and Air Products spoke in the first employer talk session and were followed by representatives from Wipro, Infosys and EY in the second session. 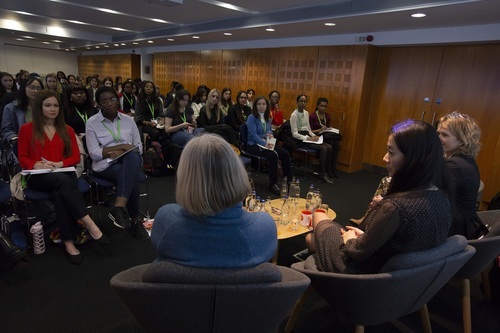 The sessions were very popular, with representatives speaking about their career, passing on tips to the students and answering questions from the audience. We are looking forward to returning to the Congress Centre in October. You can register your interest in our Autumn 2019 London Event here.